Logitech UE 9000 review | What Hi-Fi? Well, you can’t say the designers were having an off-day when they came up with these. 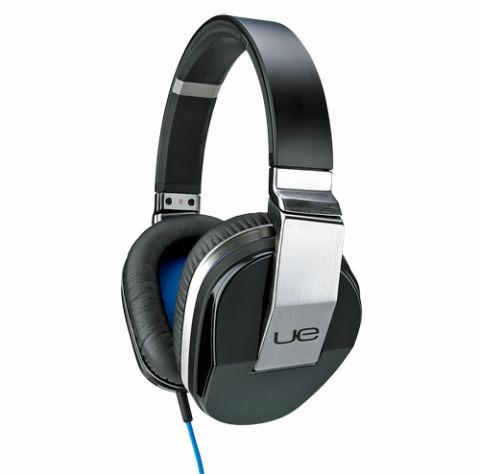 The Logitech UE 9000s’ solid build and smart blue accents are a quality proposition, and they feel nice and comfortable on the ears. They’re a little on the heavy side, however. Aside from the noise-cancelling tech on-board, the Logitech UE 9000s have another trick up their sleeve – wireless Bluetooth connectivity. Unplug the cable and you can pair them wirelessly with your phone or laptop, which is a nice touch for cable-hating commuters. More on that in a bit. The UEs’ noise-cancelling abilities aren’t the best that we've heard, but they do at least reduce the outside world to only a minor annoyance. Voices come through rather too clearly, though. The sound via the wired connection is bouncy, fun and energetic. The music charges along with a lot of energy, and you really feel as though a lot of air is being moved by the drivers. That energy does have its downside, though: it can mask detail when the music really gets going, and dynamics can suffer a little. Switch to Bluetooth and the bass level rises. It’s a less-refined sound overall – you’re bound to get that with any form of consumer wireless tech – but it’s still more than listenable. And it’s nice not having to faff about with cables (there are controls for your device on the UEs’ right-hand ear-cup, just above the USB charging port). Turn all the electronics off and the sound (via the cable, of course) mellows considerably. It’s a little closed-in at times and dynamics could be better, but we still found ourselves coming back to it over many of its rivals. The Logitech UE 9000s sit about halfway between the up-and-at-’em PSB M4U2s and the smooth-sounding Bose QuietComfort 15s in character. They could do better in terms of refinement – but if it’s energy and entertainment you’re after (as well as Bluetooth), they’re pretty much spot-on.